Looking back, I was pretty lucky I reckon. 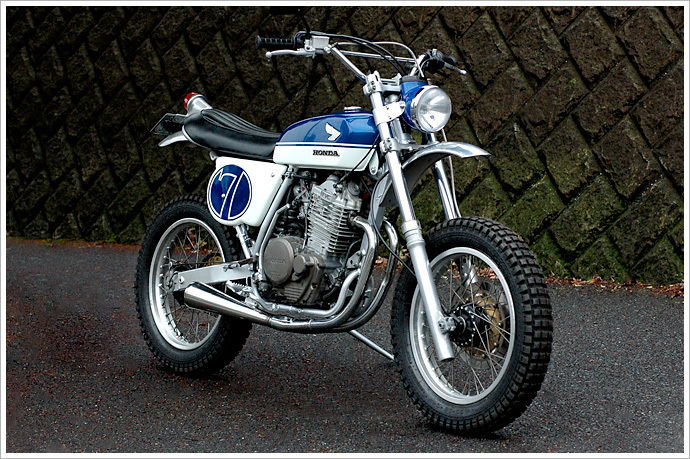 I got to grow up around vintage motocross bikes, learning to ride on 70s era Yamaha bikes. Although only smaller capacity bikes, I loved the feeling of riding something that had been ridden offroad for over 20 years, and could still go hard. I didn’t think there was any way you could improve on that. Until I layed my eyes on Speedtractor’s SL90. Or should that be SL600? A big bore late model engine matched with 70s styling, it’s very much the ideal mix in relation to the power to styling ratio. And it’s oh so pretty.